Psychologists have lots of evidence that implicit social biases—our unconscious, knee-jerk attitudes associated with specific races, sexes and other categories—are widespread, and many assumed they do not evolve. The feelings are just too deep. But a new study finds that over roughly the past decade, both implicit and explicit, or conscious, attitudes toward several social groups have grown warmer. 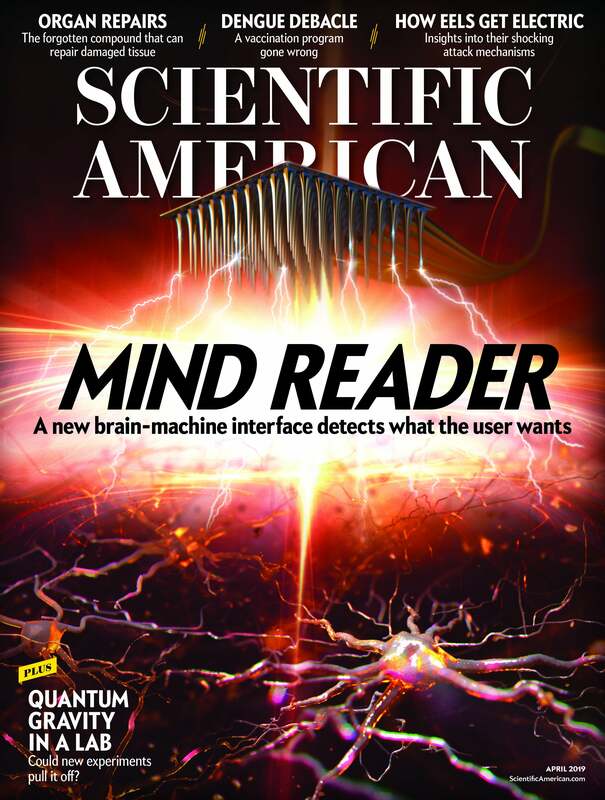 The study used data from a standard test of implicit attitudes collected via a Web site called Project Implicit. Participants were asked to quickly press a certain computer key in response to positive words, such as “happy,” and a different key in response to negative words, such as “tragic,” that appeared on a screen. These words were interspersed with images or words that represented two categories of people, such as blacks and whites, and participants were asked to flag these using the same keys. Faster reactions when, for example, black rather than white faces shared a key with negative words suggested a racial bias. Tessa Charlesworth and Mahzarin Banaji, psychologists at Harvard University, analyzed more than four million results collected over a 10-year period from U.S. adults who had taken implicit association tests for sexuality, race, skin tone (in which faces differ in color but not shape), age, disability and body weight. Respondents also answered questions on the screen asking them to explicitly rate how much they liked people in each of the categories. 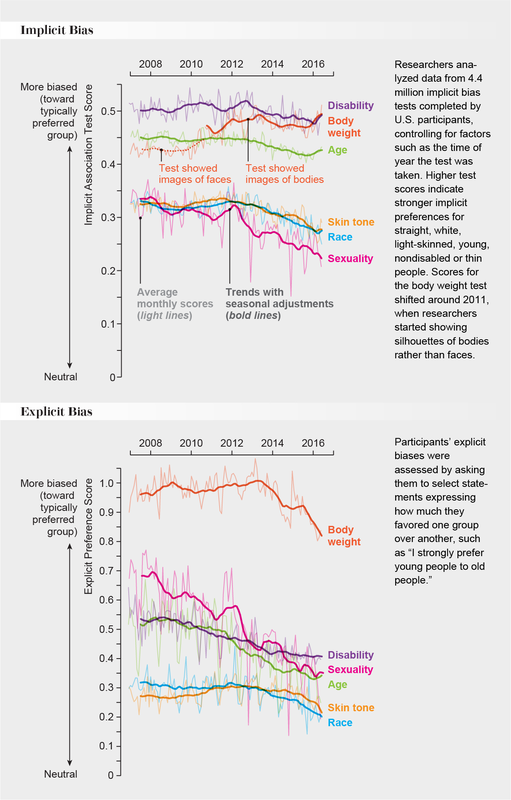 Charlesworth and Banaji also found, however, that implicit biases about age and disability did not change over time, and those against overweight people nudged up by 5 percent. Several factors might explain the discrepancies among categories, the researchers say. In their data set, implicit biases for race, skin tone and sexuality were lower to begin with than those for age, disability and body weight. And the types of implicit biases that decreased the most are also the biases that have received more societal attention. Meanwhile the stigma associated with obesity may have increased in recent years. Next, the team plans to explore implicit and explicit attitude change across demographics and geographical regions, as well as whether trends have changed since the 2016 U.S. presidential election.